A blended flavor family welcomes you at Beth Williams' Table Three. 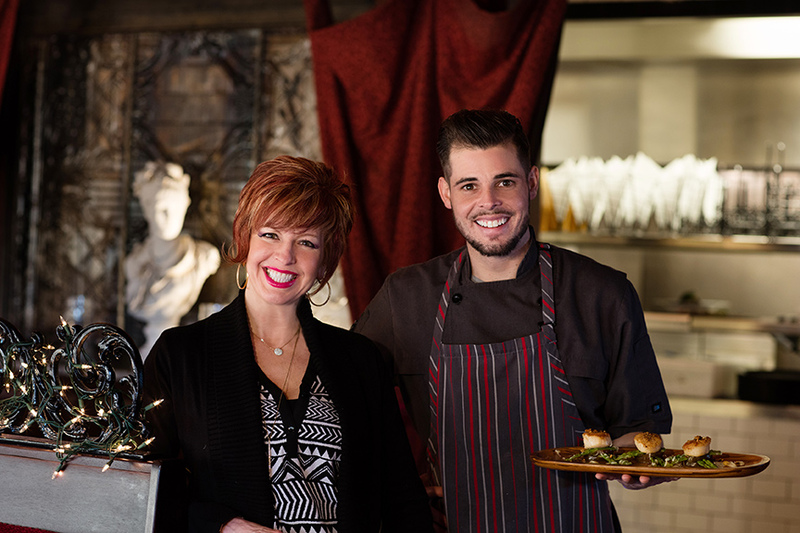 Beth Williams and Chef Simon. Beth Williams’ Wildwood mainstay, Table Three, draws a menagerie of people from all walks to its cozy dining room. It’s a social melting pot that’s mirrored in the literal melting pot of Chef Andrew Simon’s kitchen. 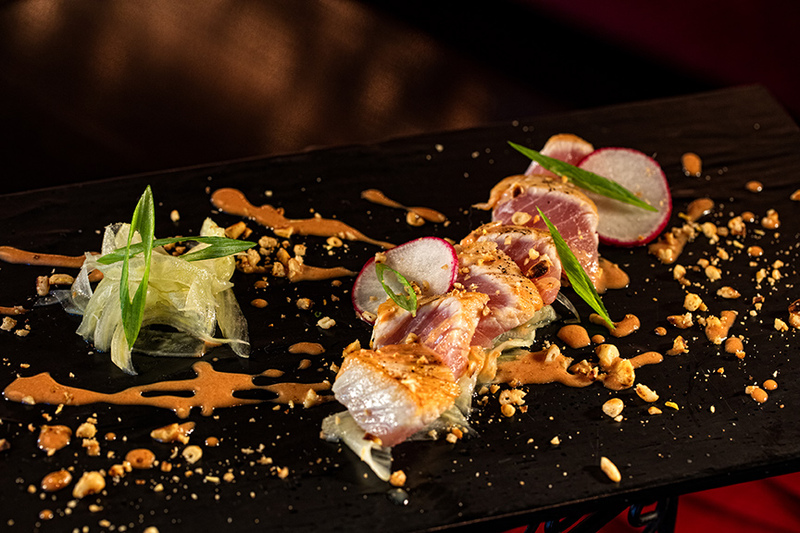 Just as Chef Simon melds a variety of dishes into an internationally inclusive menu, he is fastidious about making sure each plate explores a full palate. 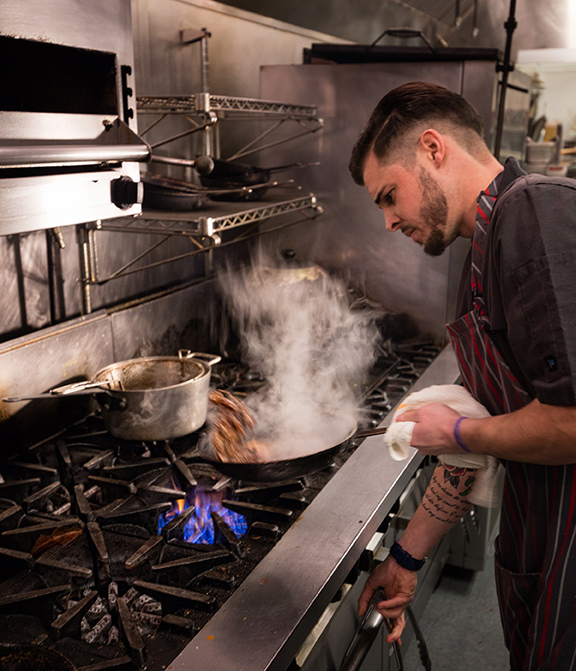 Where many cooks err, says Simon, is not in the level of seasoning but in the range of flavors they incorporate and how well they balance them against each other. Items like duck fat potatoes hit that fatty-starchy sweet spot we all crave. In many of Simon’s proteins well-done char brings a specific bitterness and earthiness, while pickling contributes salty-acidic, sometimes sweet, notes elsewhere. That blending of sweet, salty, bitter and earthy in their proper proportions brings out the best in every dish. Chef Simon of Table Three will demonstrate his flavor profiles at the March Cooking School on Tuesday, March 8, 2016, at Construction Appliance from 6:30-8:30 p.m. For reservations, call 636-230-9640, ext. 27, or email [email protected]. 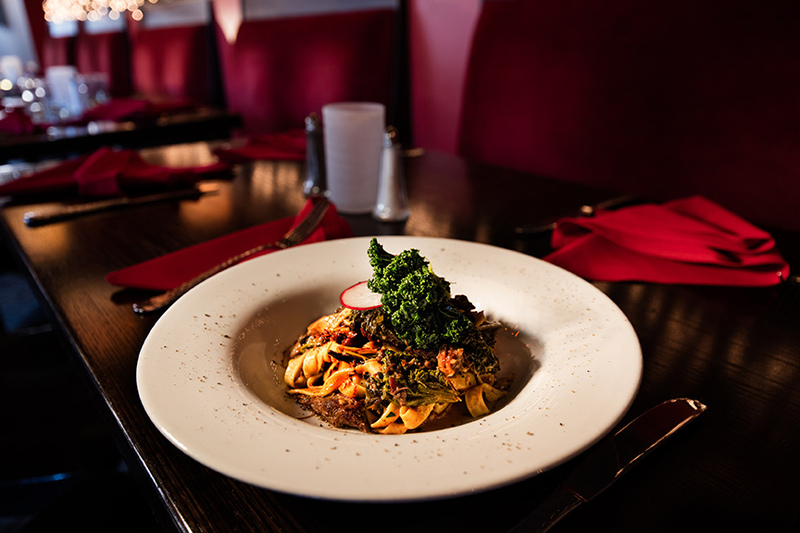 Lamb Linguini: The espresso-braised lamb shank in this dish is cooked with wild mushrooms and perked up with pickled kale and fresh herbs. Served on a bed of housemade pasta. 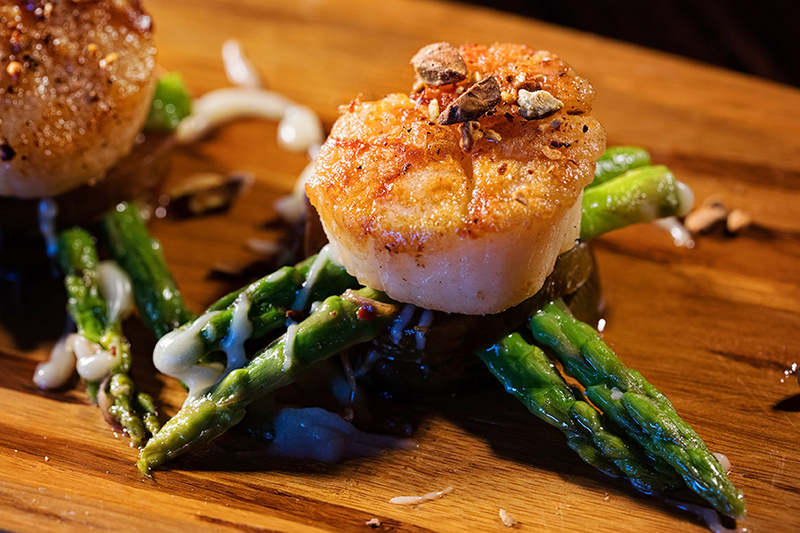 Seared Scallops: Medium-high heat brings just the right sear to the scallops, which Chef Simon drizzles with white chocolate beurre blanc and serves with tangy, fresh Arkansas tomatoes. Seared Tuna Belly: Cooked rare, this high-grade tuna gets an infusion of bright and bitter from pickled wasabi fennel and charred pine nuts. A blood orange puree on the side is as dramatic as it is delicious. 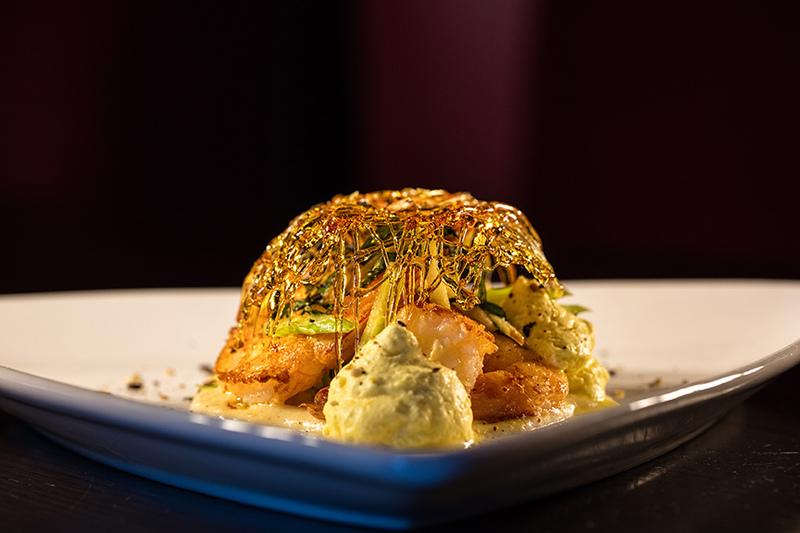 Seared Shrimp: Three plump shrimp rest atop a foundation of buttery popcorn puree. Simon tops this dish with an apple-basil-celery gremolata, saffron espuma and crunchy charred almonds.